Do you live in Park Heights? You may be eligible for geographic preference in our annual student lottery. The western boundary is the Metro track, corresponding with (but not extending to include) the 3100 through 5100 blocks of Wabash Avenue. The northern boundary is the 4100 through the 5100 blocks of Belvedere Avenue. The eastern boundary is the 4400 to 5100 blocks of Pimlico Avenue, extending across the 2500 and 2400 blocks of W. Cold Spring Lane, and continue south through the 3500 to 4200 blocks of Greenspring Avenue. 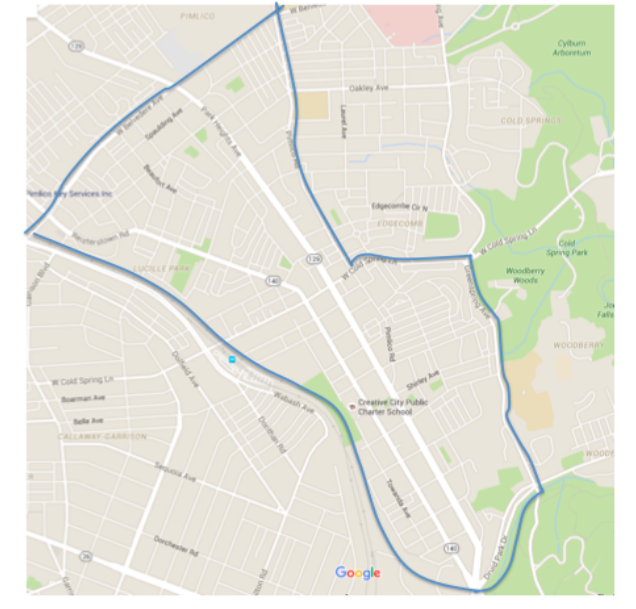 The southern boundary of this zone is 2300 to 2800 blocks of Druid Park Drive. The southern most point of this zone is Henry G. Parks Jr. Circle. Twenty percent (20%) of available lottery seats will be set aside for students who are verified as living in this zone. If there are more applicants from this zone than available set-aside seats, eligible Park Heights residents will be randomly selected for the seats that are set aside, and all remaining eligible Park Heights applicants will be participants in our general student lottery. Potpourri is our special #GivingTuesday campaign, live all December. Empower students by providing choices that spark interests and build passions.